The importance of making a will cannot be overstated. If you die without a will, State law will decide who gets what. Often that disposition will not provide for the disposition of your property as you would have liked. I provide personal consultation for estate planning, will drafting, trust creation and other legal instruments necessary to create a particular estate plan. 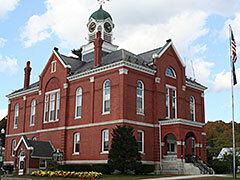 I represent clients through the estate probate process and handle any necessary litigation in the Probate Courts of Maine related to the will’s or trust’s interpretation and potential challenges. Probate Statutes provide strict procedures for the fair administration of estates for beneficiaries and creditors. Many of us know older folks who have been subjected to unfair pressure or undue influence to make a will or open a bank account favoring one family member over all others or who have been taken advantage of otherwise. I have represented many clients in these situations. 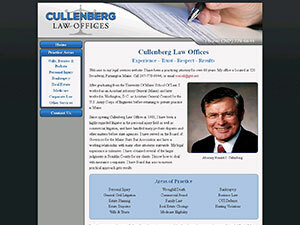 Over the years, I have submitted numerous accident claims and wrongful death cases. Before you settle with any insurance company, make sure you contact me first. I will evaluate your particular accident and claim and guide you through the complete process to make sure you get the maximum due you even if it means going to court. I do not have a fancy office – I do not hire actors, I am simply able to offer more experience than most other firms. I represent injured people in all accident cases, including passenger cars, commercial vehicles, motorcycles, ATV’s, snowmobiles, and other recreational vehicles, and slip and falls at home or at work. Don’t let threatening debt collectors ruin your life. There are times when individuals, because of job loss, divorce, injury, and other complications, get into major financial difficulty and there is no way out other than bankruptcy. Late payments cause credit card interest rates to soar to 25 or 30%. You try to keep up but you can never pay down the principal. Creditors start calling and threatening. Your life is miserable. I can help. The phone calls will stop. You should not have to risk losing everything. State law provides some of your property is exempt from some creditors. You must know your exemptions and claim each and every one of them or you could lose out. 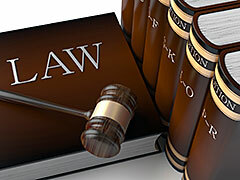 Under Federal bankruptcy law you are entitled to a fresh start. Most people can keep their home, their pensions, 401Ks and car. In instances where a creditor has recorded a judgment lien against your real estate, the lien may be dischargeable upon the filing of the proper motions. If you find you are overwhelmed by insurmountable debt, contact me and I will help protect you from creditor harassment. All consultations are confidential. I can help you with all your real estate transactions. I provide expert legal advice when drawing up comprehensive purchase - sale agreements, and make sure your interests are completely covered and protected. My staff and I work with buyers and sellers. 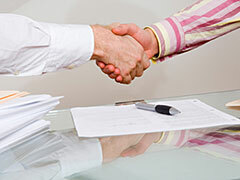 The purchase agreement is the most important document. Don't sign one without legal review. 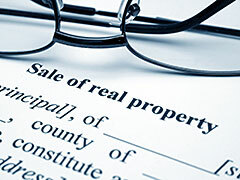 We can conduct title searches; draw up and record all legal documents including deeds, titles, mortgages, easements and rental and lease agreements and conduct closings. Knowledge and experience are important when negotiating commercial leases with national companies. For example, many land owners do not know how to value their leases or how much a wind turbine tower will reduce the value of their property. I advise and assist business clients on many levels, including partnership, LLC and corporation setups, purchase and sale agreements, leases, disputes and liability litigation, severance agreements, general service contracts, and other documents necessary to conduct normal business activities. I have represented several of mid Maine’s local businesses in closing multimillion dollar purchases and commercial bank loans. 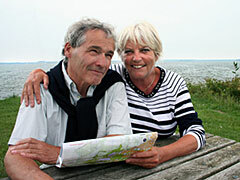 With more than 40 years of experience, elder client issues are understood. Life is complex and becoming more so each year. When advice or protection is needed it is important that your attorney has the knowledge that only a diversified practice can bring. Medicare eligibility and planning within the federal allowance administered under MaineCare. At $9,000 a month for nursing home care, a lifetime of savings can be depleted in a short time. MaineCare planning to maximize the exemptions permitted under the MaineCare Regulations may result in the retention of possession of the residential home, car and other assets when nursing home care becomes necessary. Divorce. Although I represent folks in a wide range of divorce issues, I have a particular interest in helping folks without children in property and asset accountability and division. Power of Attorney. 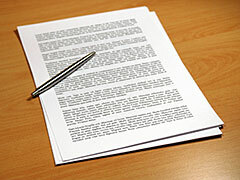 Many folks do not appreciate how important a Power of Attorney can be. A Power of Attorney should be signed only when it is tailored to the special needs of the client, or if a General Power of Attorney, then the client must be carefully advised that such a document is the most important document a person can sign because it may grant someone else total power over all one’s affairs. Some people should not be entrusted with these powers. OUI charges and hunting violations. Boundary disputes and timber trespass. Maine has particularly strict statutes for enhanced timber trespass damages. Boundary disputes are frequently the result of misunderstanding. Boundary issues must be resolved before time limits grant permanent rights to other parties. Civil fraud, embezzlement, and misappropriation of property. No one should be permitted to take unfair advantage of a person or take property belonging to another. My years of experience can make a difference in bringing a just result. I can be counted on to take the time to clearly explain your legal rights in plain, straightforward language. It is my objective to approach all my clients’ matters with a healthy dose of common sense and practical legal knowledge gained from years of law practice.